Our first leg we made by car carrier train (motorail train) from Helsinki to Rovaniemi; distance 827km /513 miles. It is practical way because one is full rested when arriving at Rovaniemi in the morning. 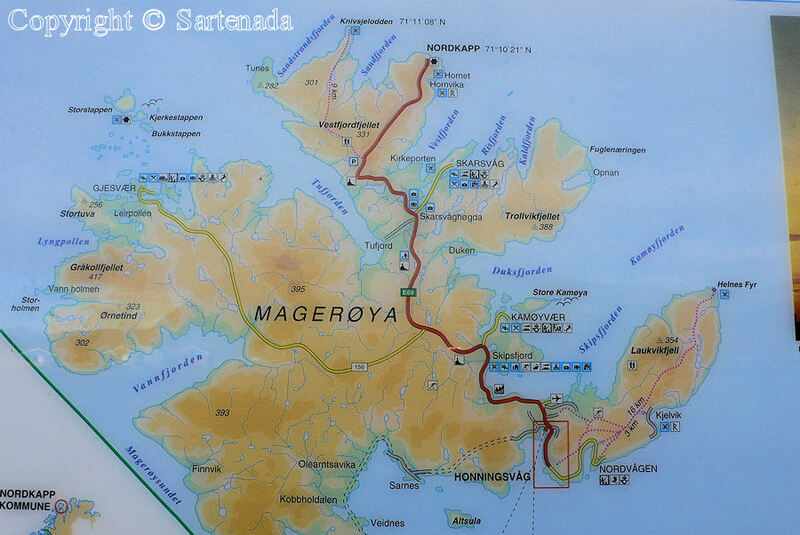 From there we drove to Karasjok, Norway which distance is 328km / 203 miles. 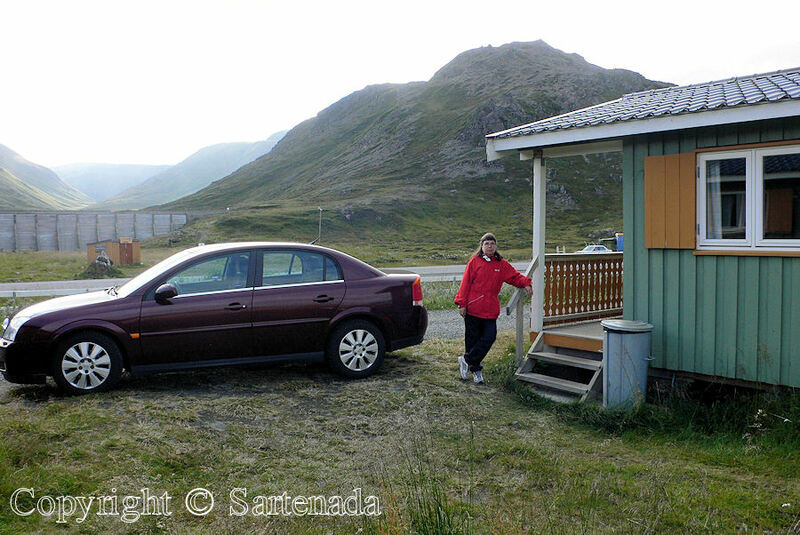 From Karasjok our road trip continued to Nordkapp having the distance 234 Km / 145 miles. 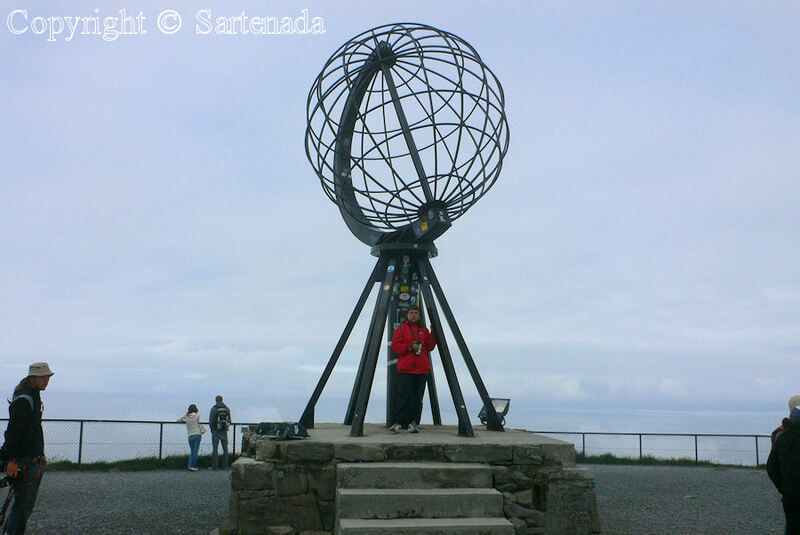 Nordkapp is the northernmost place in Europe which can be reached by car and it is very popular among motorists, campers and motorcyclists. 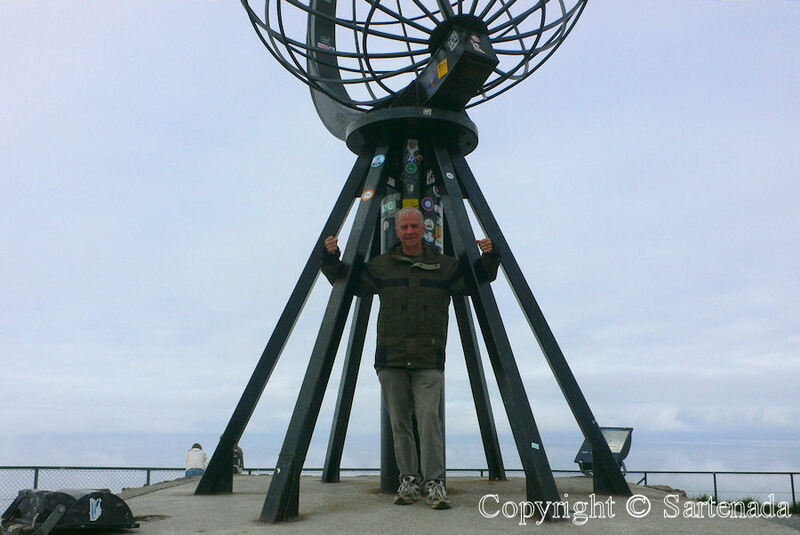 To reach Nordkapp by car is easiest route as we made – driving thru Finland first leg. Easy to ride and fast. 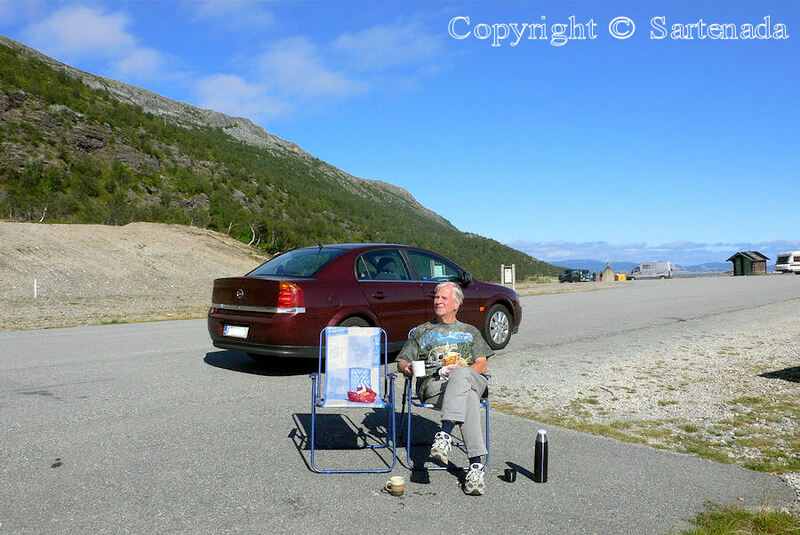 More spectacular but slower is to drive from Southern Norway. This requires time and more money when passing many tunnels. The route from Finland is also cheapest and fastest. 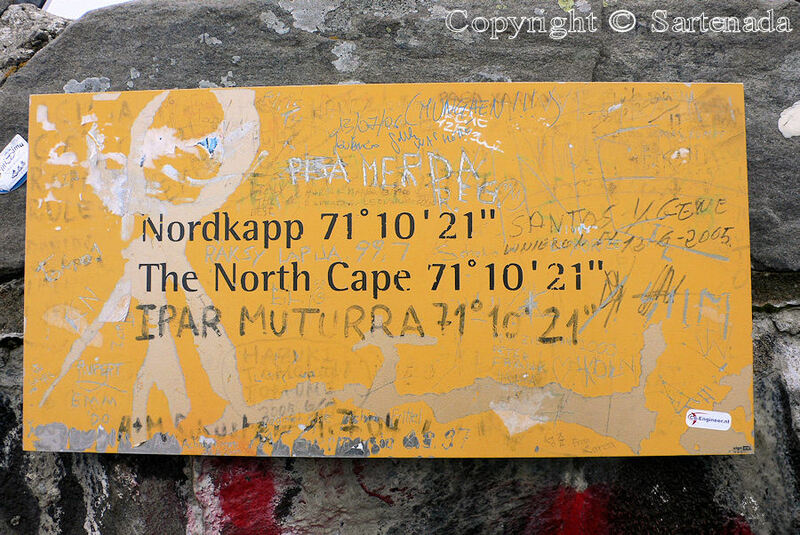 There are some tunnels to pass and the longest of them is 6,875 kilometers /22556ft long passing under the Arctic Ocean at depth of 212 meters / 696 ft below the sea level. It was an awesome experience after passing “normal” tunnels. 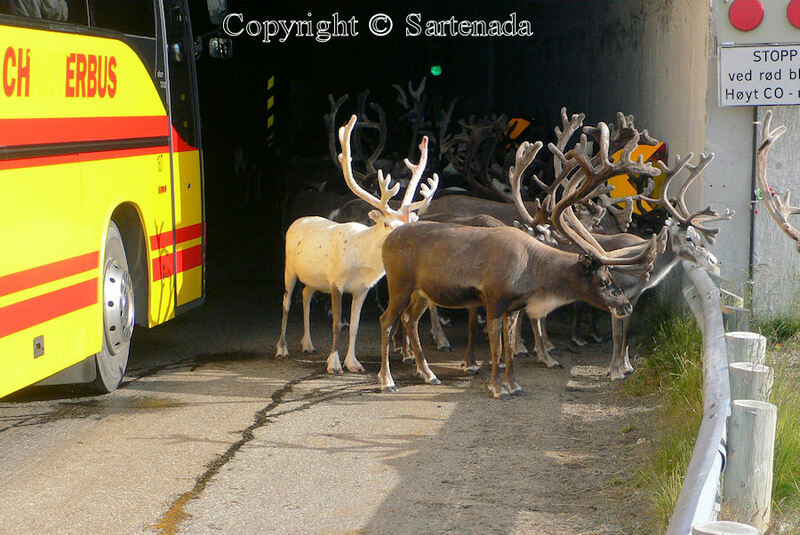 In august it was warm and reindeers were chilling at tunnels’ entrances. This was after all very understandable when thinking it more closely. My photos go this way. 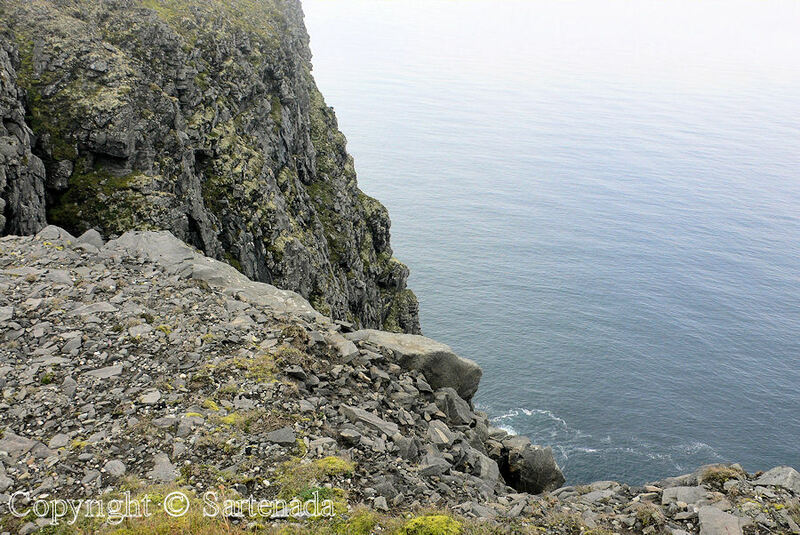 First photos are from leg Karasjok to foggy Nordkapp. 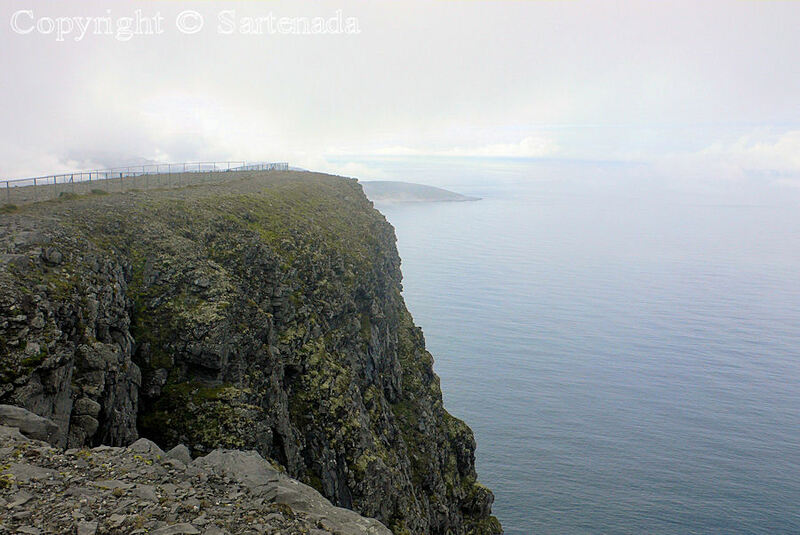 Some photos show the foggy Nordkapp. 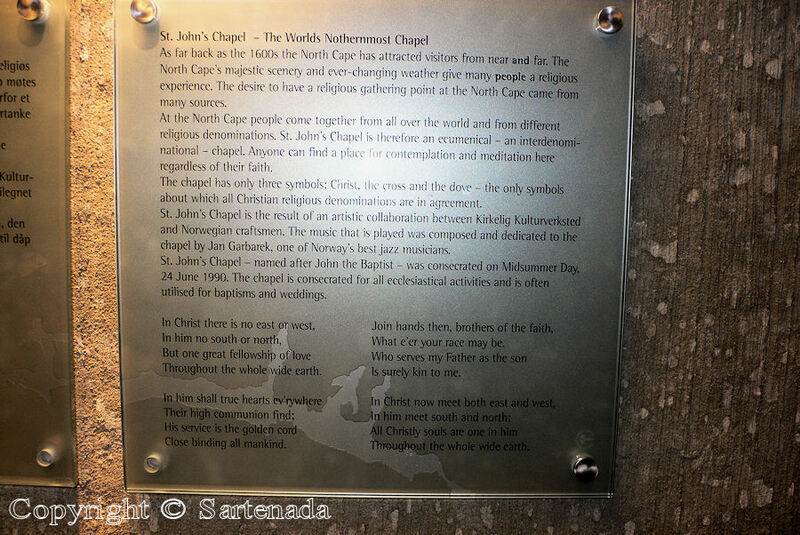 Visiting the world’s Northernmost chapel – St. John’s chapel was rewarding. 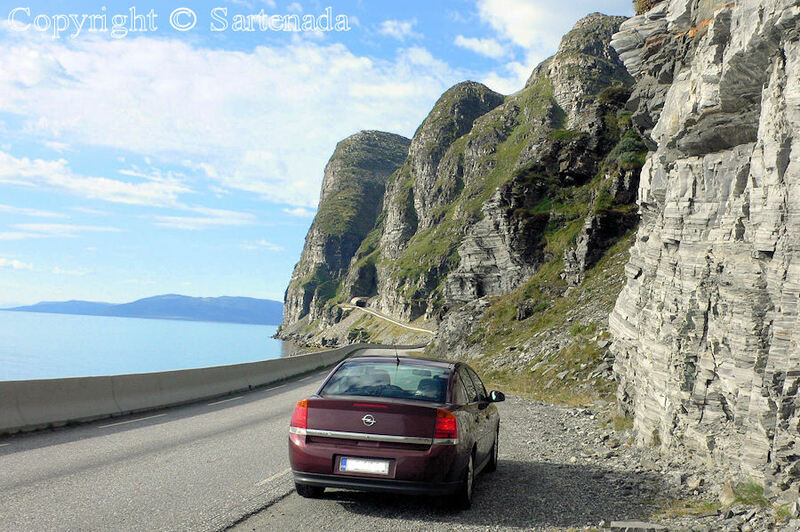 We returned back to Finland using another road on Norwegian Western coastline. 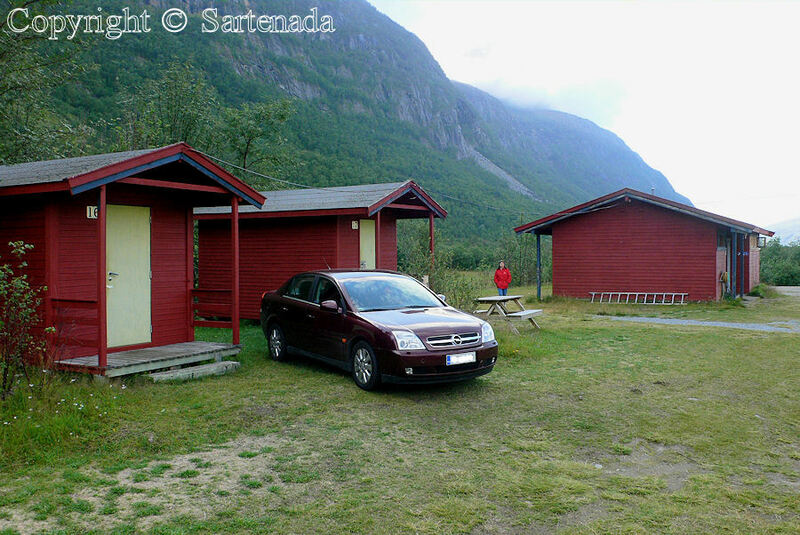 This trip was made in August 2006 and my camera (pocket camera) was my first digital camera Panasonic Lumix DMC FX7 (5.0 megapixels) from 2004. So do not expect top photos, but quite normal. Welcome to take this trip with us thru my photos. I hope that my wife’s car’s rear seat is comfortable for you. Nuestra primera etapa hicimos en autoexpreso desde Helsinki a Rovaniemi, la distancia es 827 kilometros / 513 millas. Es una manera práctica, porque se está bien descansado al llegar a Rovaniemi por la mañana. 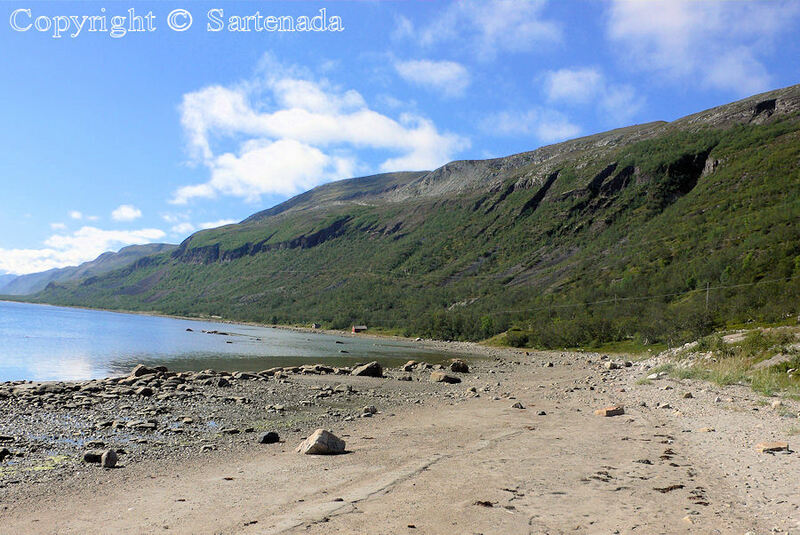 Desde allí dirigimos a Karasjok, Noruega cuya distancia es 328 kilometros / 203 millas. 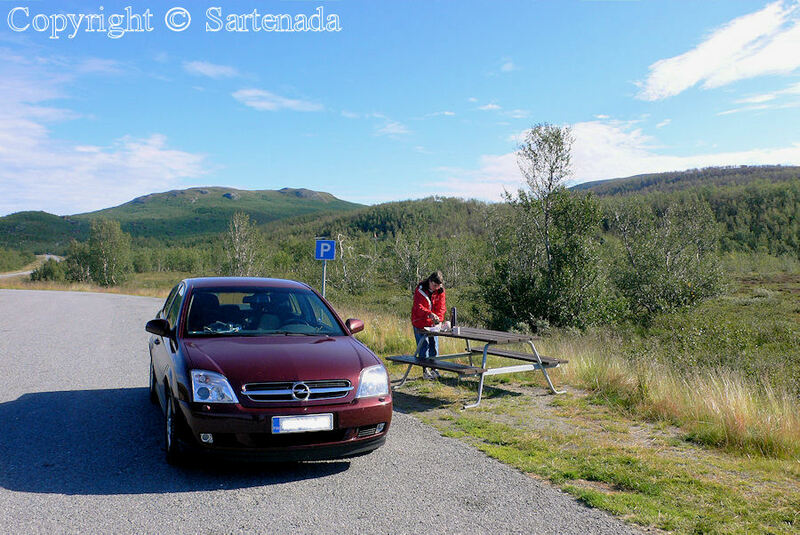 Desde Karasjok nuestro viaje continuó por carretera a Nordkapp con la distancia 234 km / milla 145. 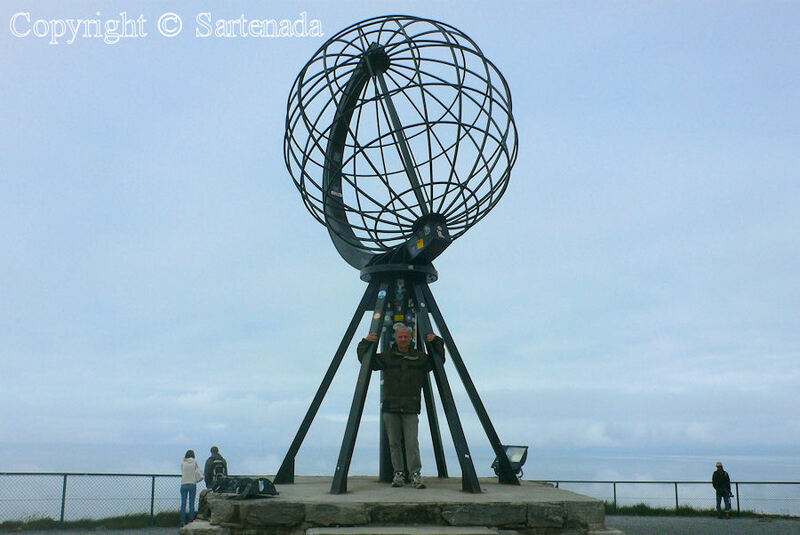 Nordkapp es el lugar más septentrional de Europa, adónde se puede llegar en carro y es muy popular entre los motoristas, los campistas y los motociclistas. 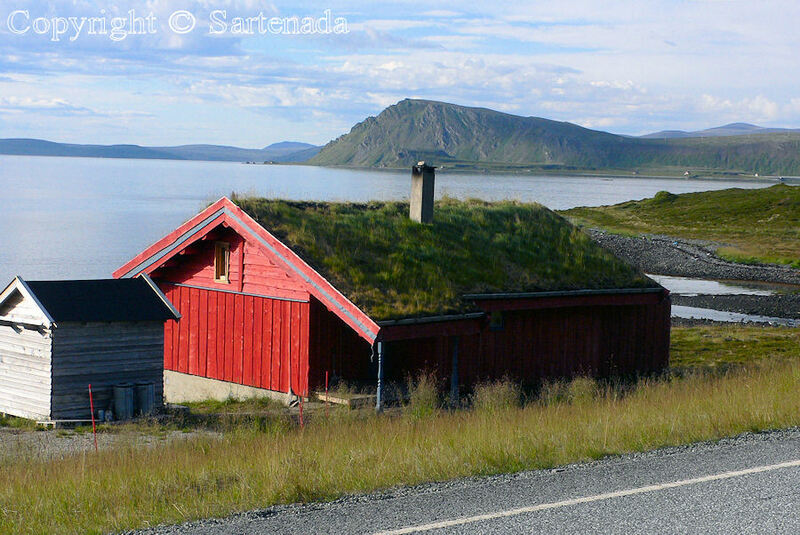 Para llegar a Nordkapp en carro es la ruta más fácil lo que hicimos – manejar a través de Finlandia en primer etapa. Fácil de realizar y rápido. 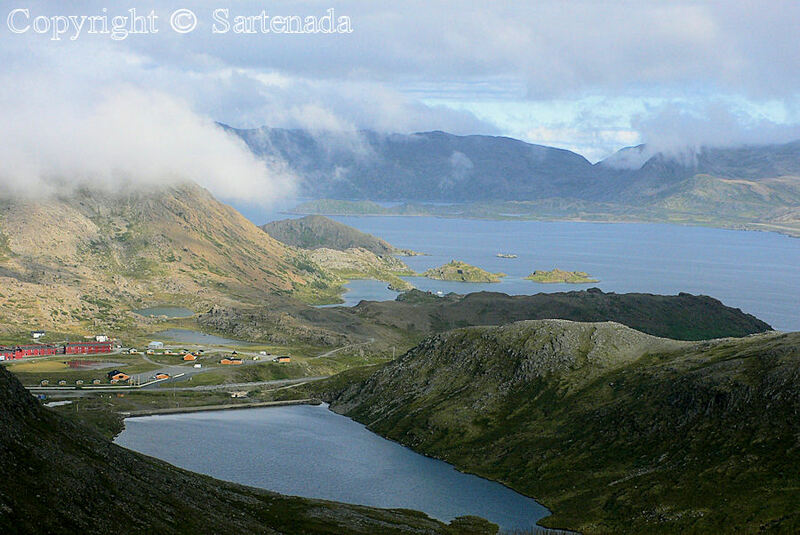 Más espectacular, pero más lento es manejar desde el sur de Noruega. Esto requiere tiempo, dinero y a menudo a través de los túneles. 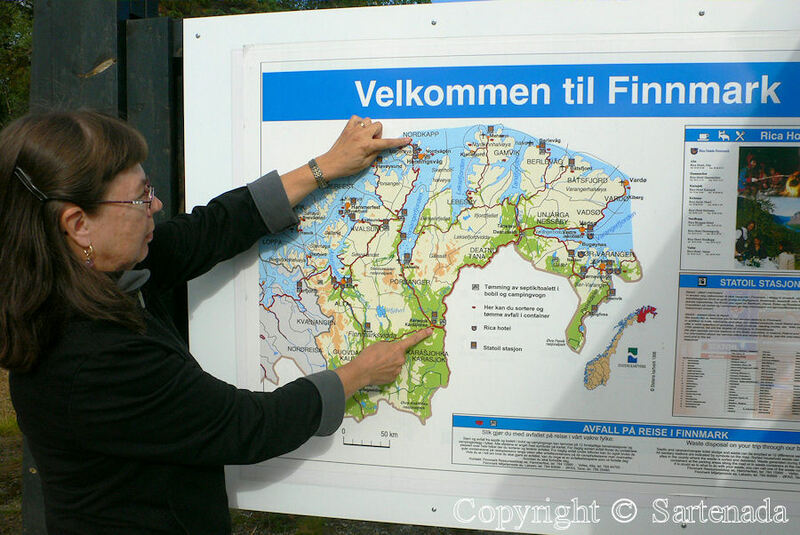 Así que la ruta de Finlandia es también la más barata y más rápida. 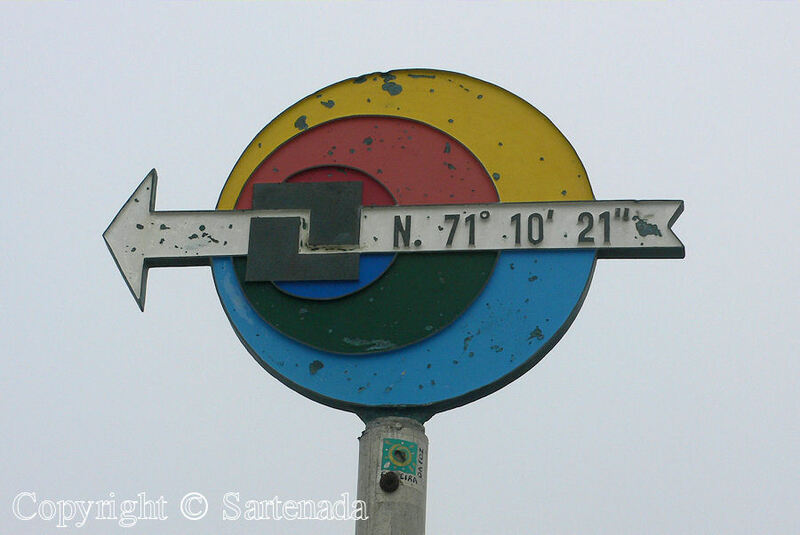 Hay algunos túneles para pasar y el más largo de ellos es 6,875 kilometros / 22.556 pies pasando bajo el Océano Ártico a una profundidad de 212 metros / 696 pies por debajo del nivel del mar. 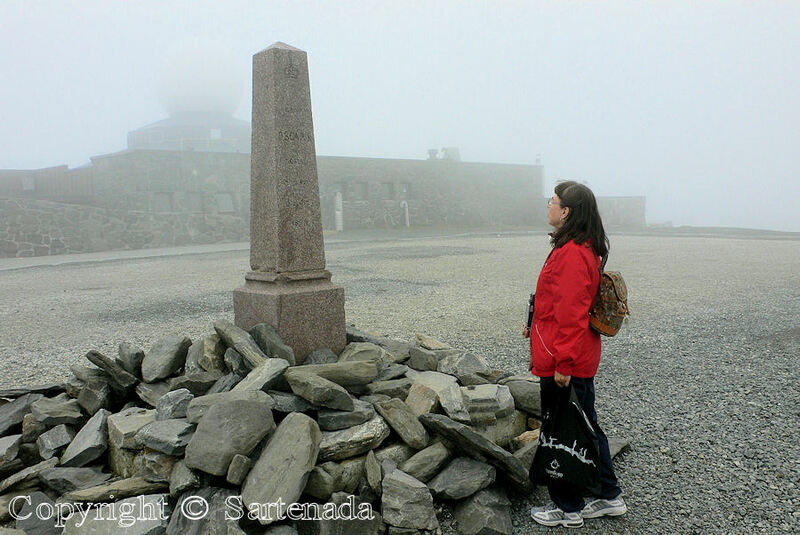 Fue una experiencia increíble, después de pasar de túneles “normales”. En agosto hacía calor y renos eran escalofriantes en las entradas de los túneles. Esto fue después de todo muy comprensible piensando el asunto más. 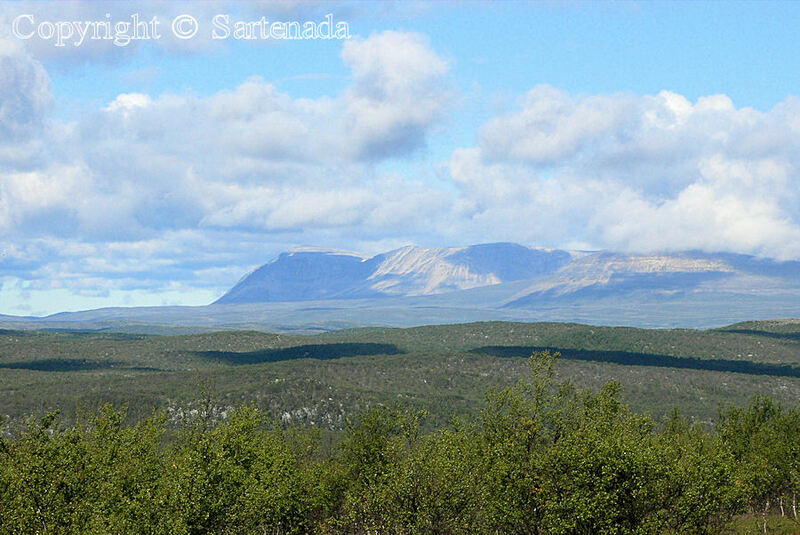 Mis fotos van de esta manera. 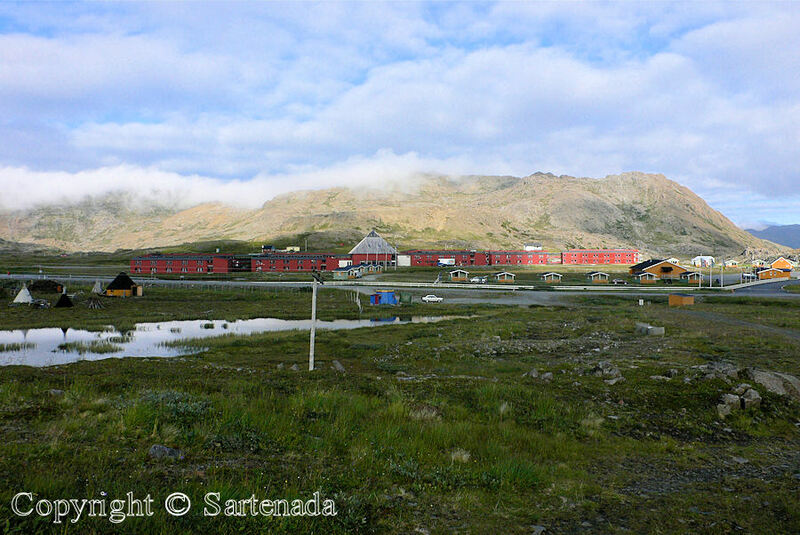 Primeras fotos estan de Karasjok y despues de brumosa Nordkapp. 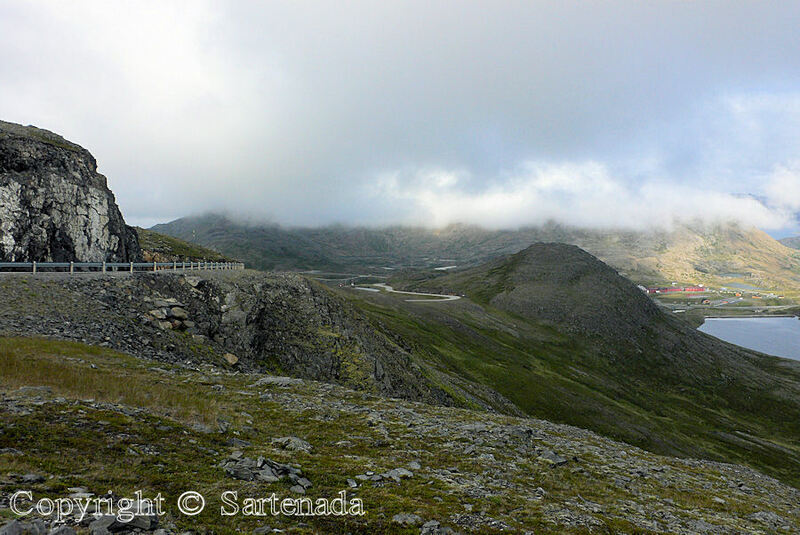 Algunas fotos muestran nebulosa Nordkapp. 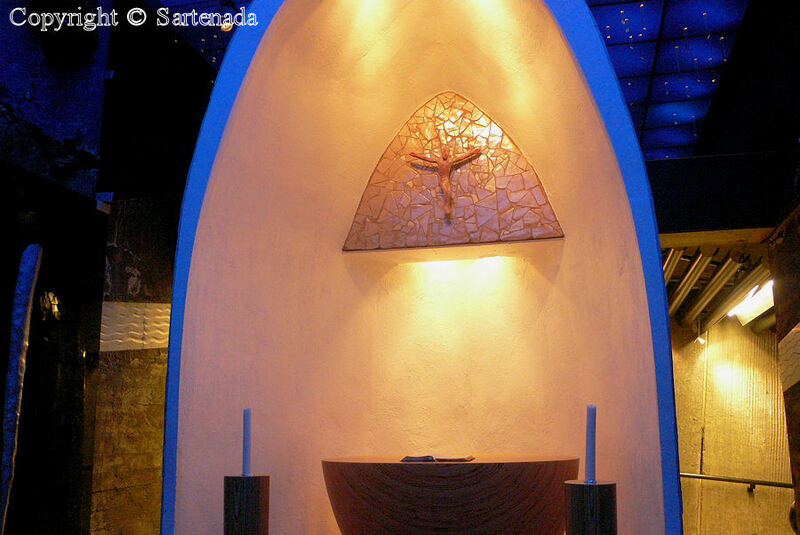 Visitando la capilla septentrional del mundo – Capilla de Juan el Evangelista fue gratificante. 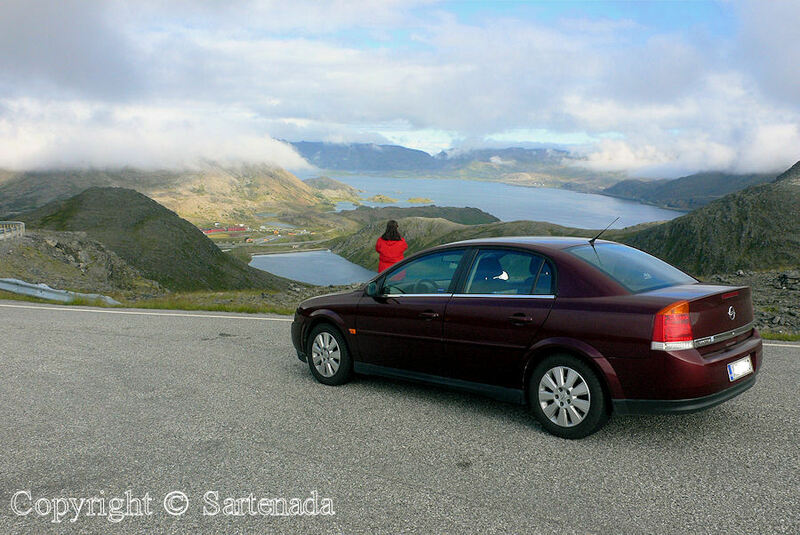 Volvíamos de nuevo a Finlandia por una otra carretera en la costa oeste de Noruega. Este viaje se realizó en agosto de 2006 y mi cámara (cámara de bolsillo) fue mi primera cámara digital Panasonic Lumix DMC FX7 (5,0 megapíxeles) que compré en 2004. Así que no esperen preciosas fotos, pero bastante normales. Bienvenidos a tomar este viaje con nosotros a través de mis fotos. Espero que los asientos posteriores del carro de mi mujer estan cómodos para usted. Notre première étape nous avons avons fait la nuit en auto-train d’Helsinki à Rovaniemi, distance 827 km / 513 miles. Il est de façon très pratique, car on est parfaitement reposé en arrivant à Rovaniemi tôt le matin. 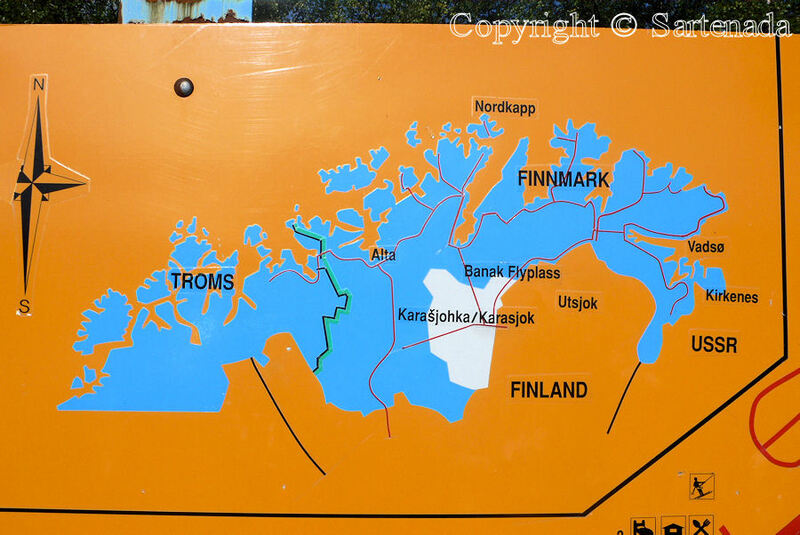 De là, Nous allions à Karasjok, Norvège, laquelle distance est 328 km / 203 miles. De Karasjok notre voyage sur la route a continué à Nordkapp ayant la distance entre elles est 234 km / 145 miles. 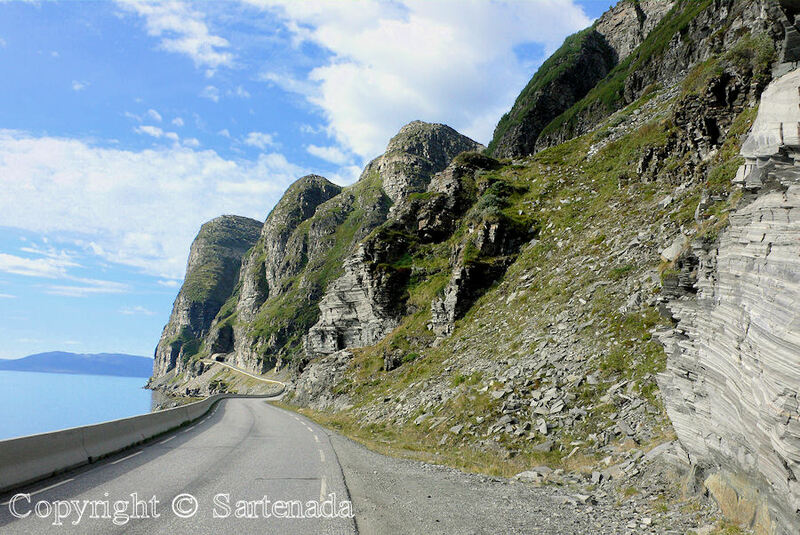 Nordkapp est l’endroit le plus septentrional d’Europe, laquelle on peut être atteint en voiture et elle est très populaire parmi les automobilistes, les campeurs et les motocyclistes. 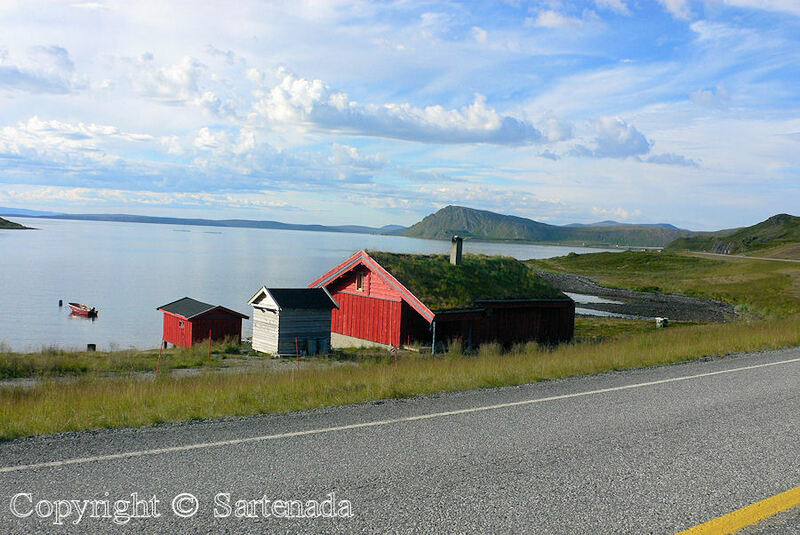 Pour atteindre Nordkapp en voiture c’est le plus facile itinéraire que nous avons fait, est de conduire à travers de la Finlande la première étape. Facile à mettre en œuvre et rapide. 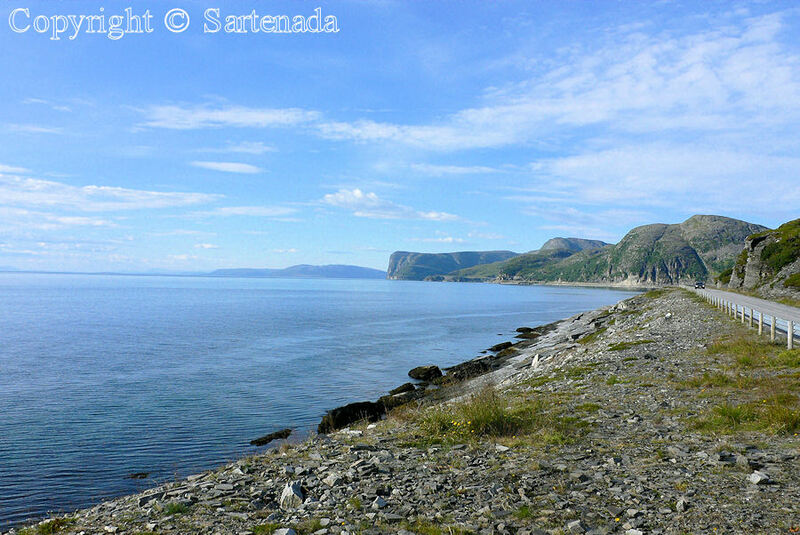 Plus spectaculaire, mais plus lente est de conduire du sud de la Norvège. Cela nécessite du temps et plus de l’argent parce que on doit passer par des nombreux tunnels. La route de la Finlande est aussi le moins cher et plus rapide. Cependant, tout ne peut pas être mesurée avec l’argent. Il ya quelques tunnels à passer et le plus long d’entre eux est 6,875 kilomètres / 22556 ft passant longtemps sous l’océan Arctique à une profondeur de 212 mètres / 696 pieds en dessous du niveau de la mer. Ce fut une expérience incroyable après avoir passé “normales” tunnels. En août, il faisait chaud et les rennes étaient rafraîchissent à l’entrée des tunnels. C’était après tout très compréhensible quand on pense ça plus précise. Mes photos vont de cette façon. 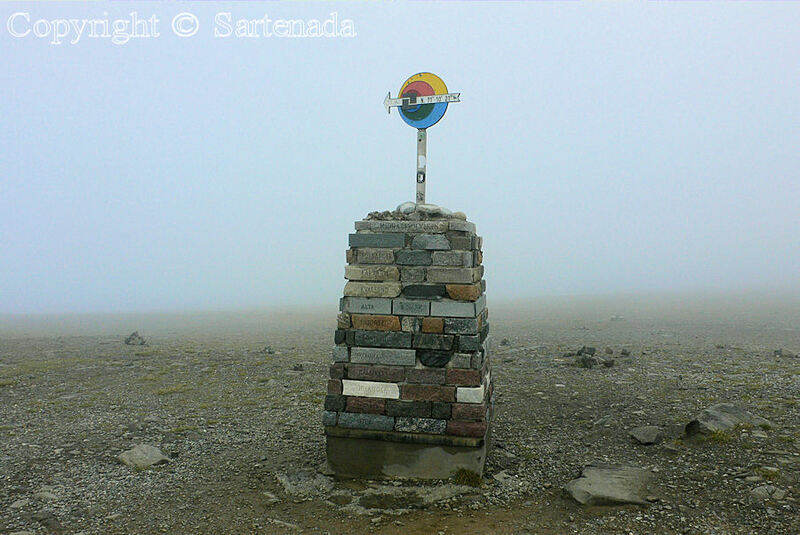 Premières photos sont de Karasjok et puis brumeux Nordkapp. 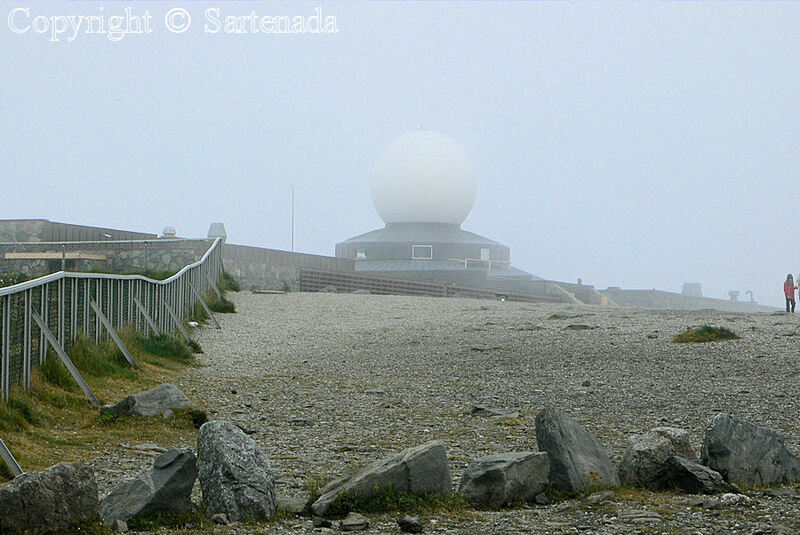 Certaines photos montrent le brouillard à Nordkapp. Visitant la chapelle la plus septentrionale du monde – la chapelle de Saint-Jean a été enrichissante. 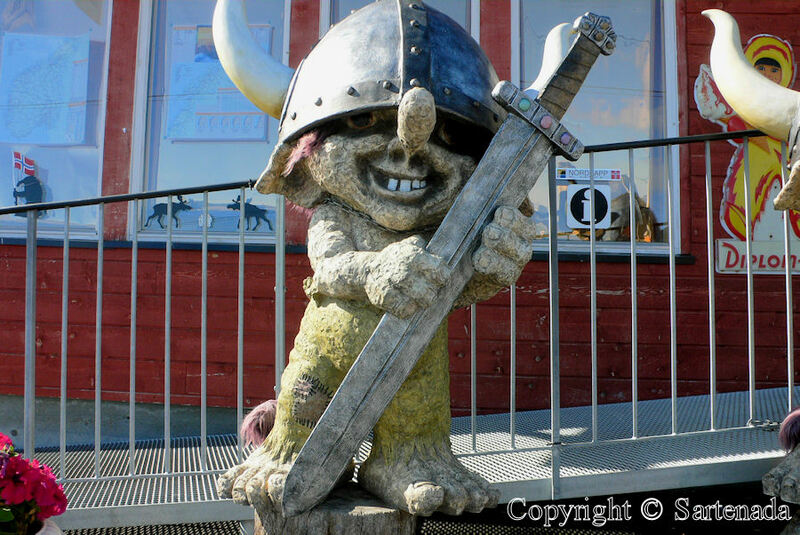 Nous sommes rentrés à la Finlande en utilisant une autre route sur la côte ouest norvégienne. 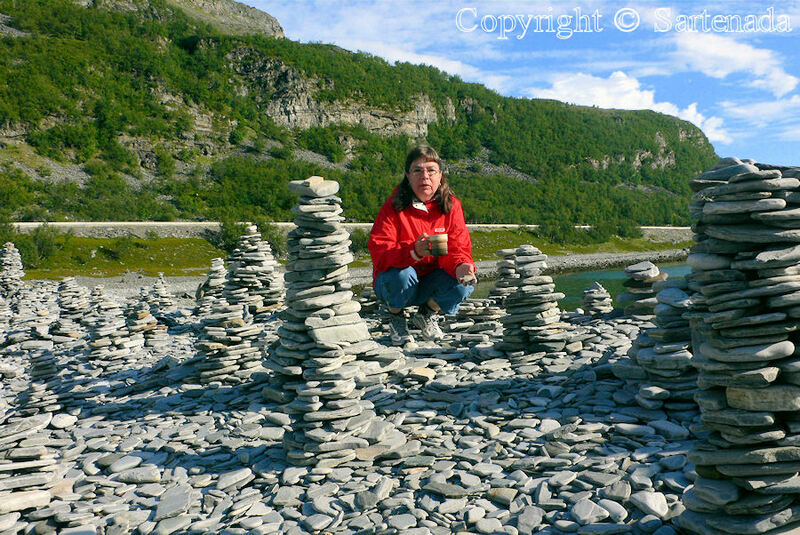 Ce voyage a été faite en Août 2006 et mon appareil photo (caméra de poche) a été mon premier appareil photo numérique Panasonic Lumix DMC FX7 (5,0 mégapixels) à partir de 2004. Donc ne attendez pas superbes photos, mais tout à fait normales. Bienvenue à faire ce voyage à travers mes photos. J’espère que les sièges arrière de voiture de ma femme sont confortables pour vous. Video 37 seconds, just click; You’ll enjoy it! 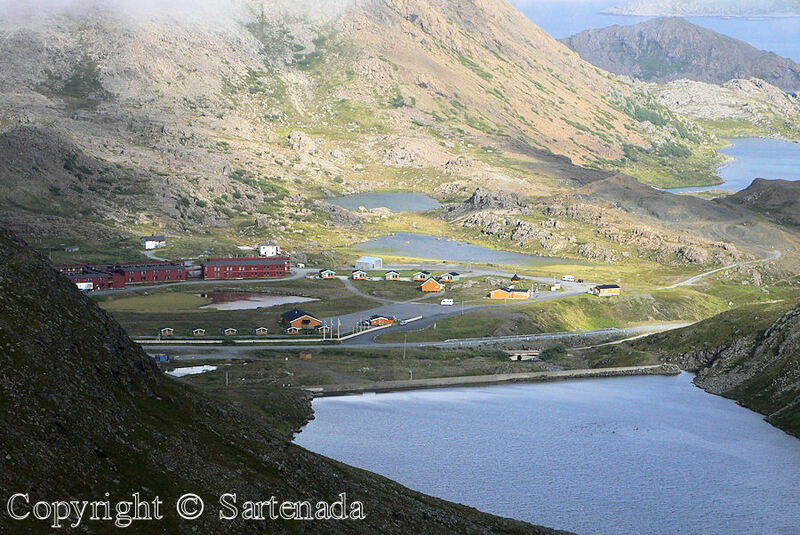 Having taken the Hurtigruten postboat cruise fron Kirkenes to Bergen in 7 days, Sartenada, I can fully imagine the experience this must have been for you. The reindeer would have been the icing on the cake for me. WOW. A trip of a lifetime, for sure! Fantastic photos, Matti. Thanks for sharing. 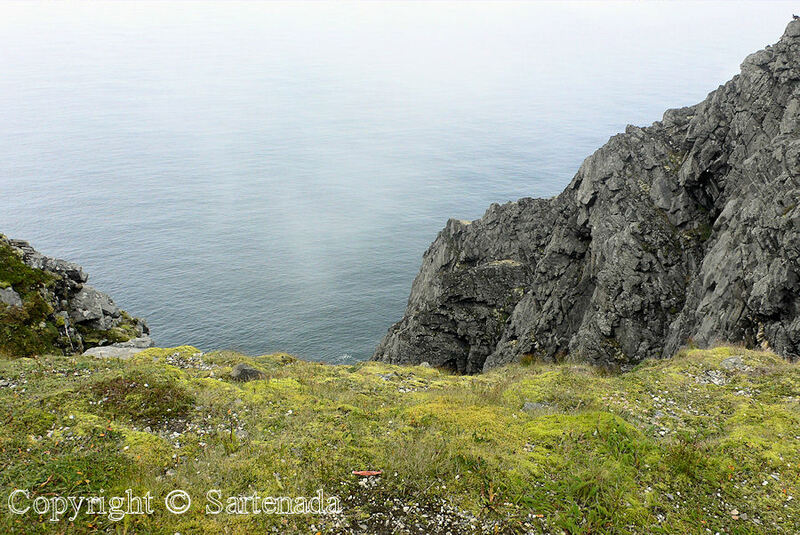 I enjoyed those photos, being in such a remote place that I’m not likely to visit. 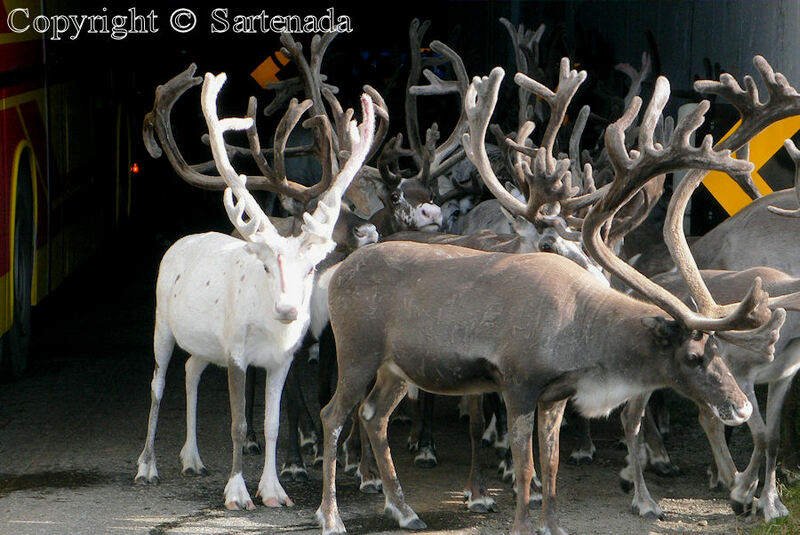 The reindeer are amazing – I lived with my family on a deer farm for several years so I was interested to see the antlers in full velvet. 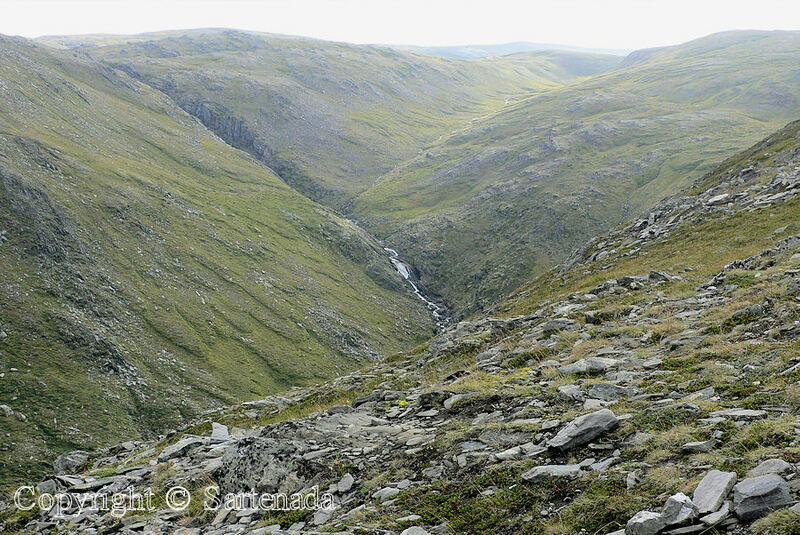 Now I know why the north west coast of Scotland is called Sutherland – the southern lands of their Scandinavian rulers – because the landscape is so similar – they must have really felt at home. How stunning that scenery is. 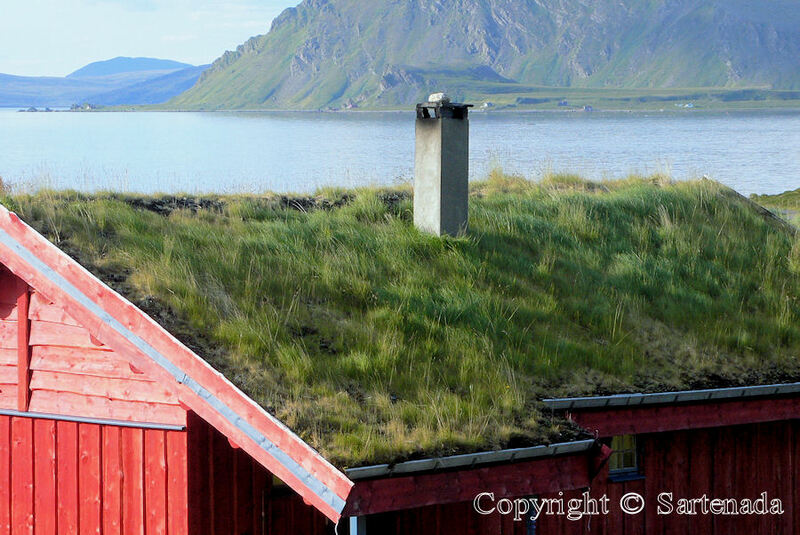 What a gorgeous place – I’ve never seen so many reindeer. That is a drive worth taking! Seguramente inolvidable ,para Uds. , pero para nosotros también ! Esta experiencia que has querido compartir con todos me ha encantado! Muchísimas gracias , y que hermosas las fotos! Wow, it is incredibly beautiful there. Thanks for sharing. The scenery is absolutely beautiful, and I think your photos are very good. I also like St. John’s chapel. Thank you for including the information about it. Seeing reindeer on the roads and in the tunnels reminded me of our experience with bison on our western trip last year. WOW. I live on the prairie, though I grew up in a mountainous state and I miss it SO MUCH. Fabulous photos! 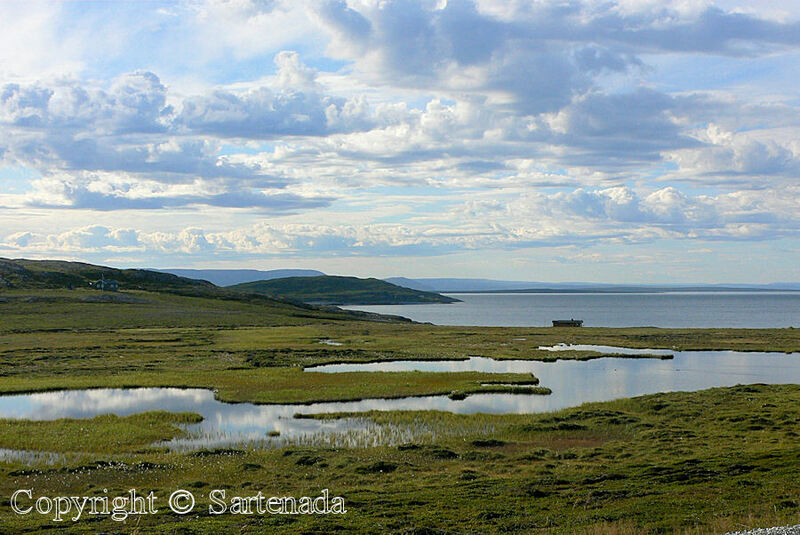 I love these landscapes…give me wide-open spaces! 😉 The reindeer on top of the rocks are my favorite, though. And I laughed out loud at the video. 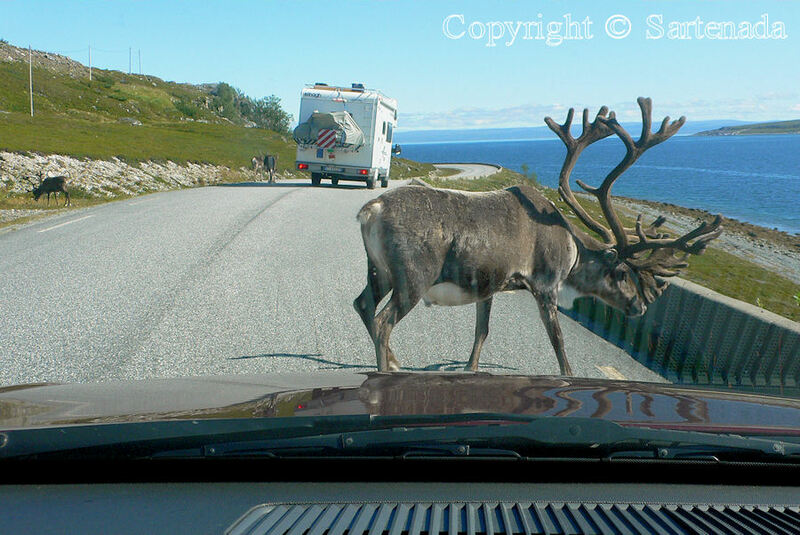 I’ve never had to drive around a reindeer on the road! Thanks, Sartenada. 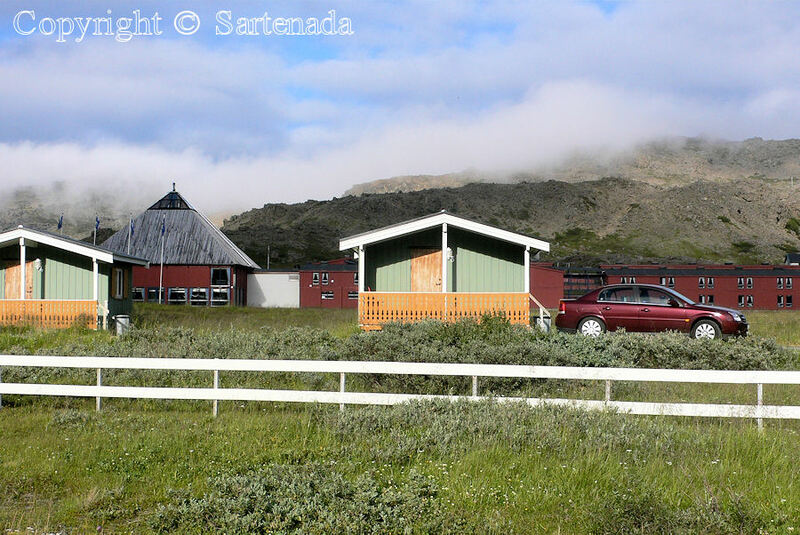 You mentioned a “normal” quality of your photos when introducing this blog post. Matti, they aren’t normal, they are stunning! ^^ I know exactly what you mean, and perhaps a new camera would be able to show things still better, but it’s more the motive which is important and the atmosphere. 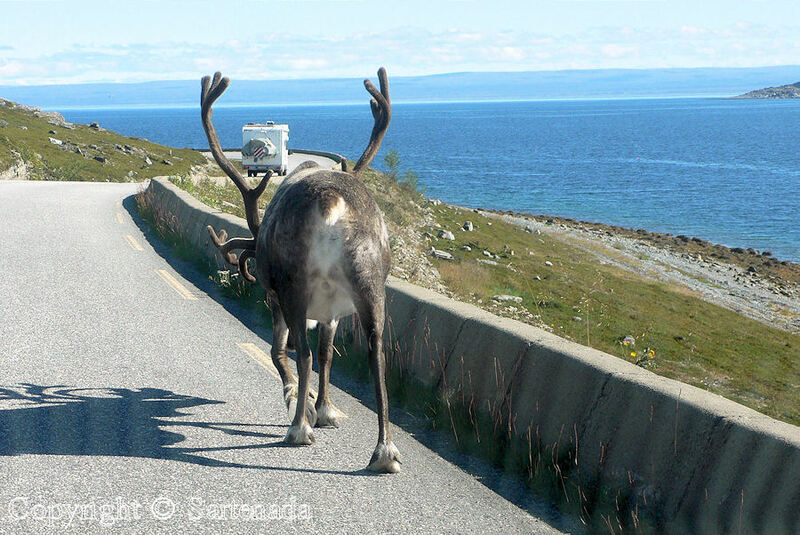 I love those reindeer on the road! They do not seem to be frightened and I wonder whether they will give way to the cars coming out of the tunnel! 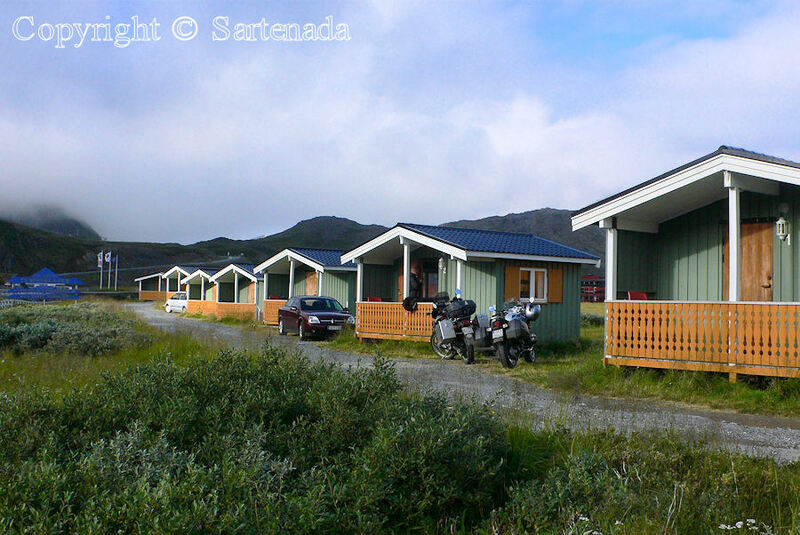 The landscape as well as the view on the sea are simply wonderful! Thanks for sharing! You wrote in Your kind comment this way: “I wonder whether they will give way to the cars coming out of the tunnel”. The answer is in my short video (37 seconds) – Yes. 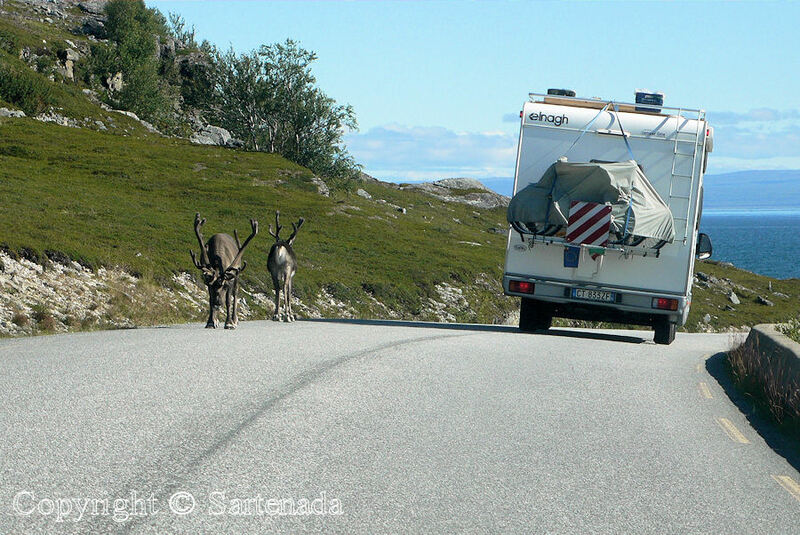 In that video we were “frightened” when the entire tunnel was blocked by reindeers and one local car driver bypasses us at the same time! Yet today we think why the driver was in such a hurry or was he / she tired of us tourists. This is a spectacular trip in amazing landscapes. 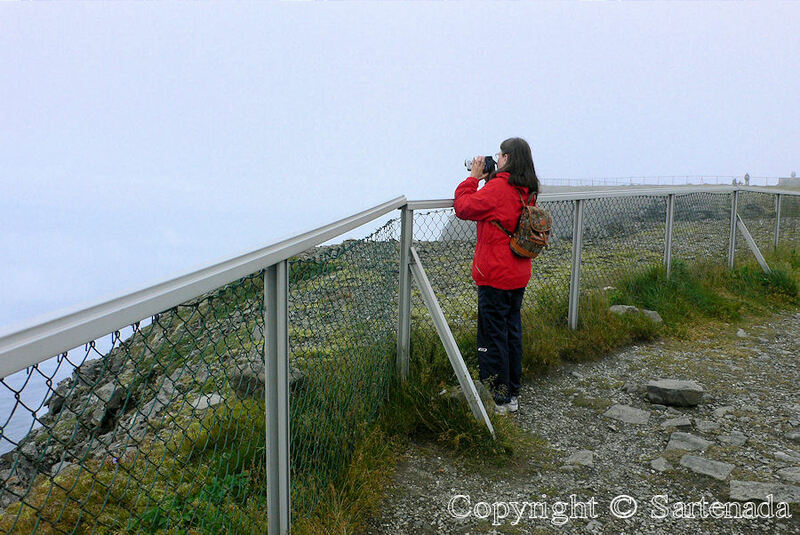 i wish i will go up there onco too…..! Great photos! I enjoyed them very much. This is a FANTASTIC road trip! 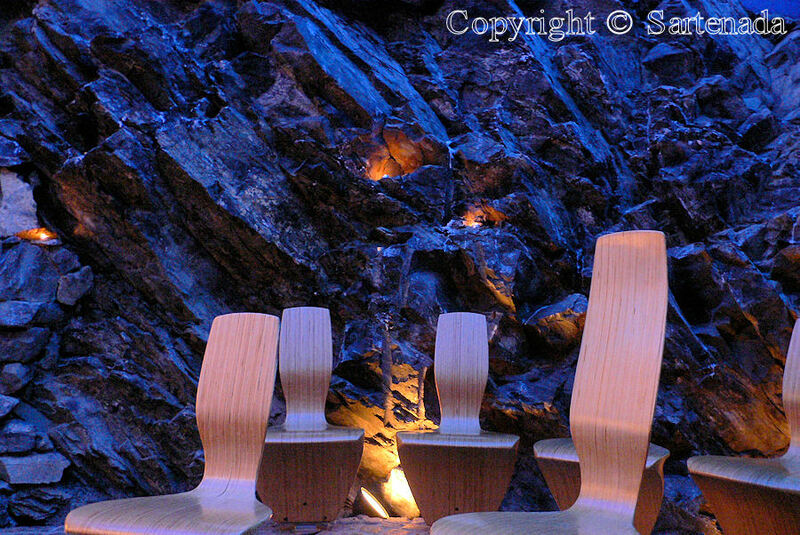 Very beautiful scenery and how touching for the Northernmost chapel. Thank you for your visits to my blog. 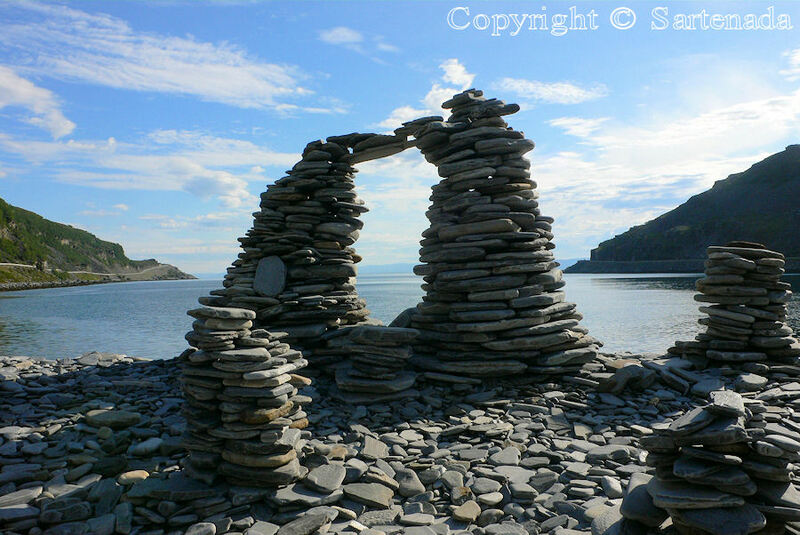 Thank you for sharing your stunning photographs! Best road trip ever! I felt like I was there myself. Exciting, fun, full of adventure and discovery. Thanks for an unforgettable journey. i agree w/I T: to some degree i FELT like i was there! (brrrr! sometimes). and some photos made my head spin. I was quite comfortable in the rear seat! What amazing scenery. You and your first digital camera did quite well together. Thanks for taking me along on this trip, Matti! Votre pays est magnifique, j’ai visité plusieurs pages de votre blog et je reviendrai voir vos magnifiques photos. What an incredible series of photos! 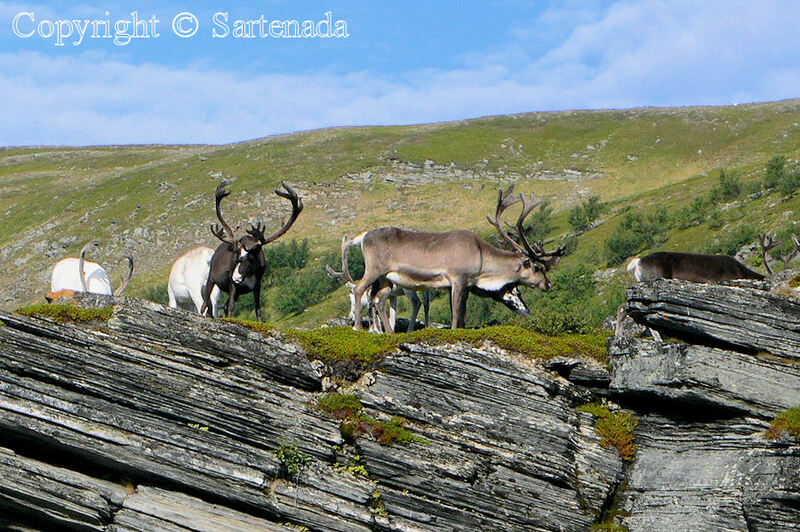 I loved seeing the caribou grazing near the bedrock outcroppings. Un superbe voyage, avec en prime quelques frissons dans ce long tunel sous-marin ! Stunning! Great post and photos. I would drive up there in a heartbeat. Nice photos. Making a road trip to there will stay in our minds for a long time. To pass in tunnels under the sea was a little bit frightening. 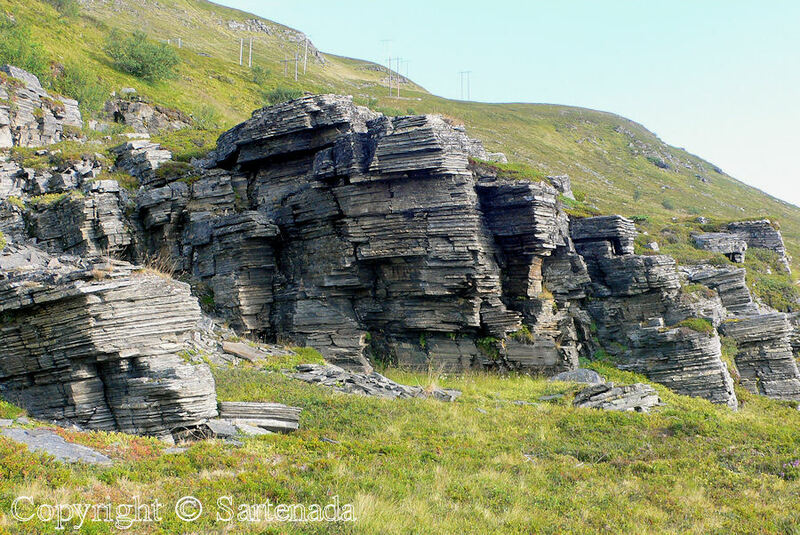 The place itself is fantastic when man knows that it is in real North. 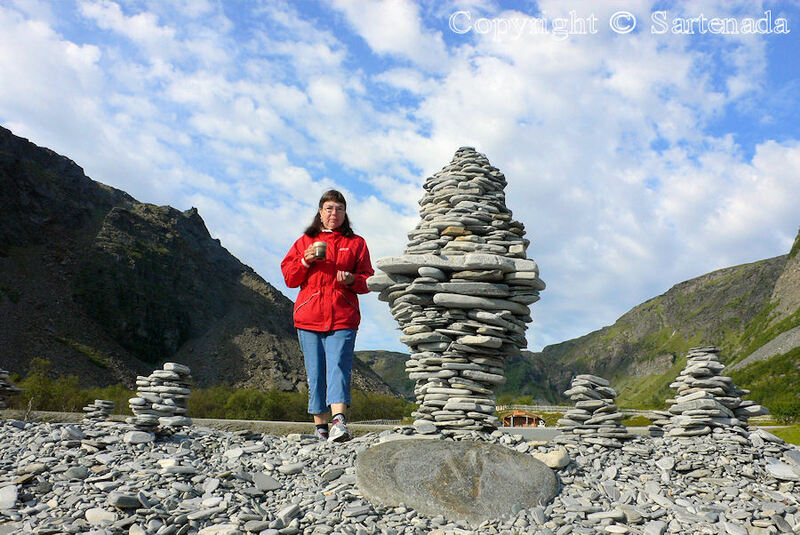 Arctic Circle in Finland is also worth for a visit. The scenery of your country is considerably different from Japanese scenery. 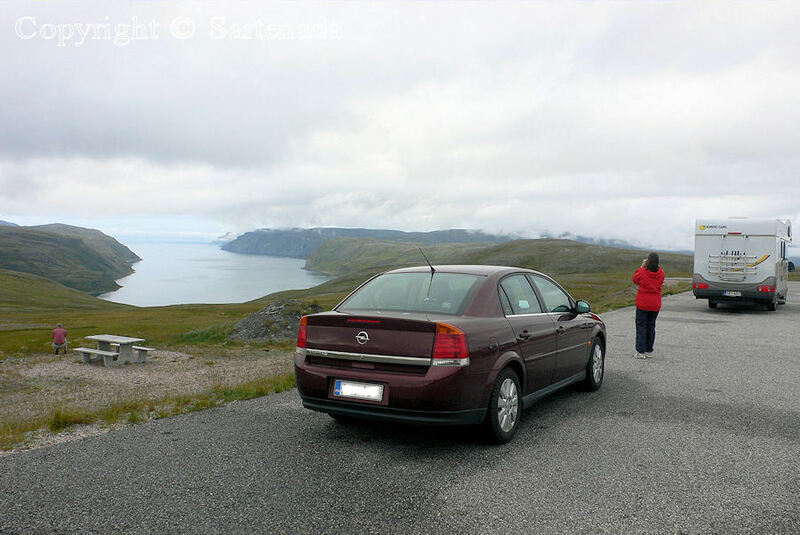 Well, this road trip we made was made to its most Northern part to where man can drive in Europe. Thank You commenting. I enjoyed every photo and liked the video, too! 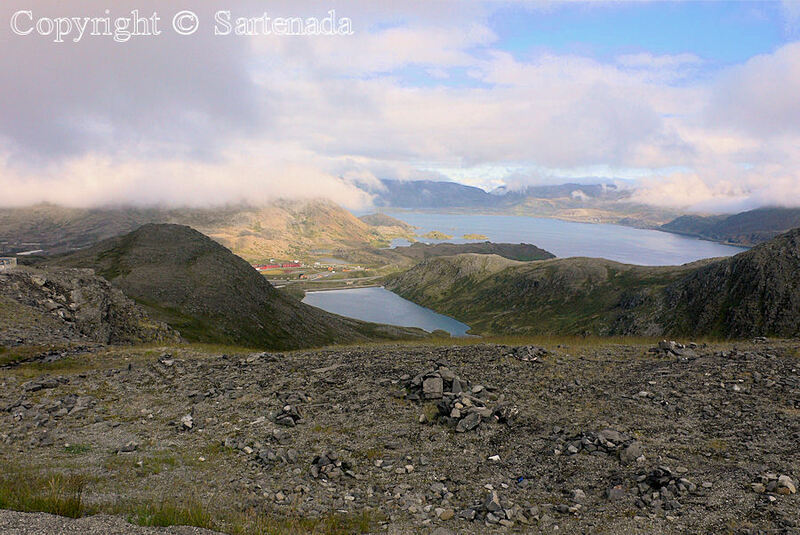 Fantastic views and ,……those reindeer! I think I have already visited this part of your blog,nonetheless I find it impressive! Your comment delighted me very much this morning. 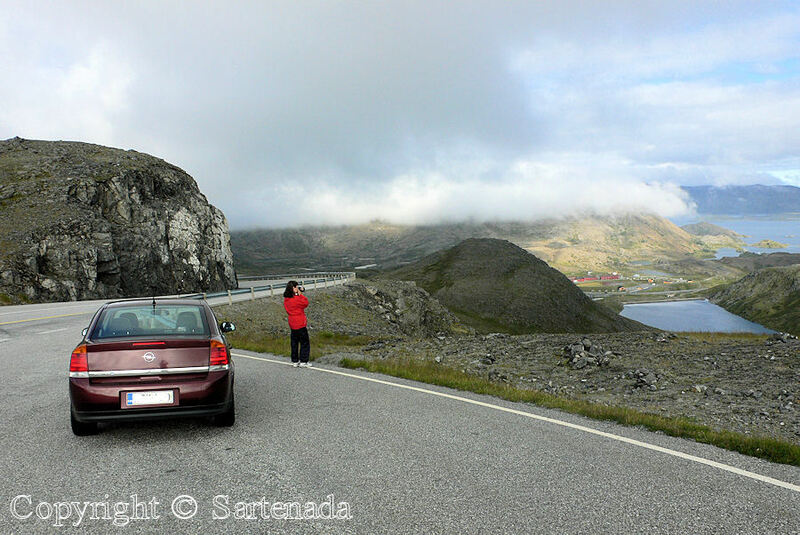 This road trip to the northernmost point which can be reached by car in Europe stays always in our mind. 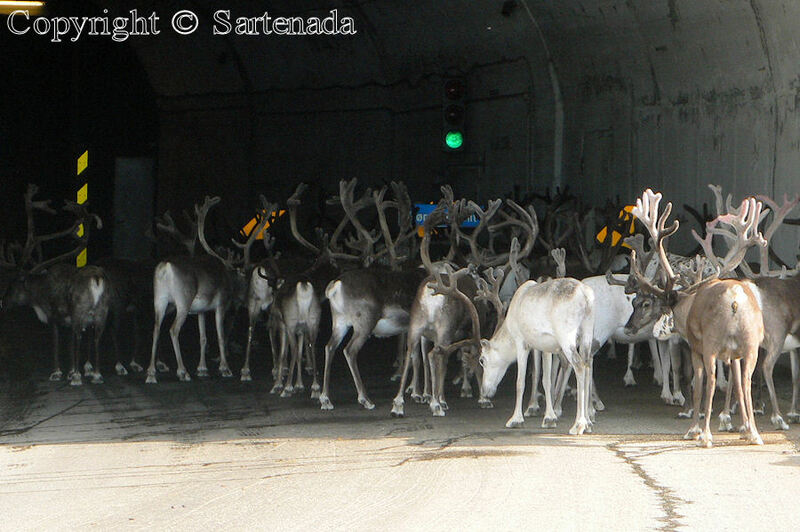 The video show how the local driver “must” bypass us although reindeers blocked the tunnel! We were very surprised to find out how big rush some people has. Thank You. Thank you. It would be nice. Personally I love Northern regions. 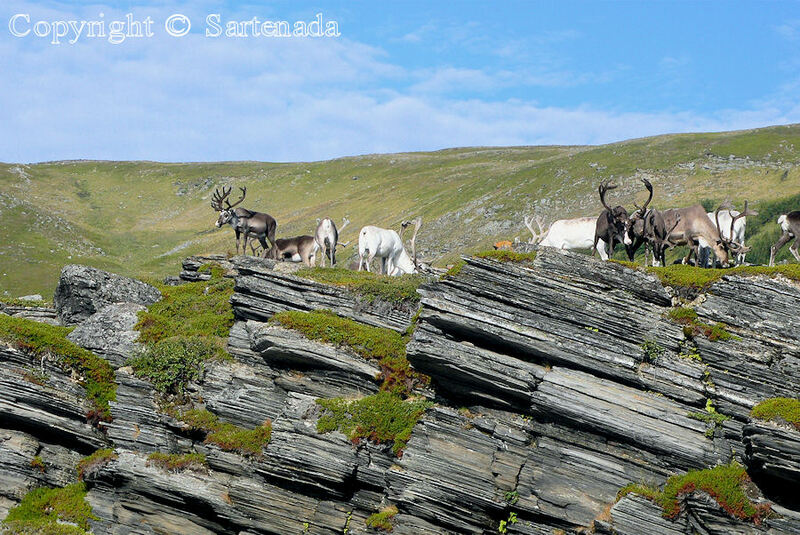 There is something magical to us which we enjoy; nature, “silence”, roaming reindeers etc. We have drove in these states: Florida, Nevada and California and to us these have been adventures, so much to see and to experience. My dream is someday to drive Route 66. In Europe I love driving in Germany on its highways, because there are no speed limits. Wonderful captures! 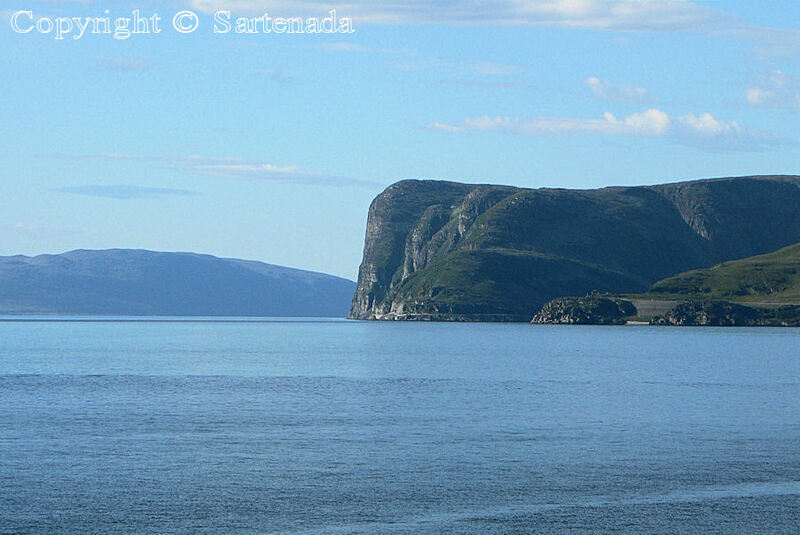 I had almost forgotten how beautiful Magerøya is. Yes, it is beautiful. Our road trip stays in our mind the rest of our life. Thank You. Oh my goodness! 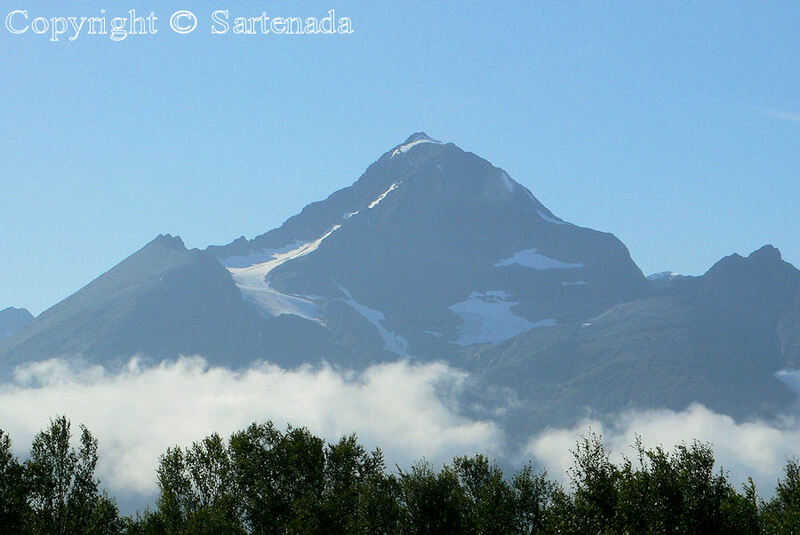 After seeing the pictures, the desire to go there is growing faster… still I have to wait until June. Thank you Matti for this great tip. I will discuss it with my friend and will draw our itinerary in detail. 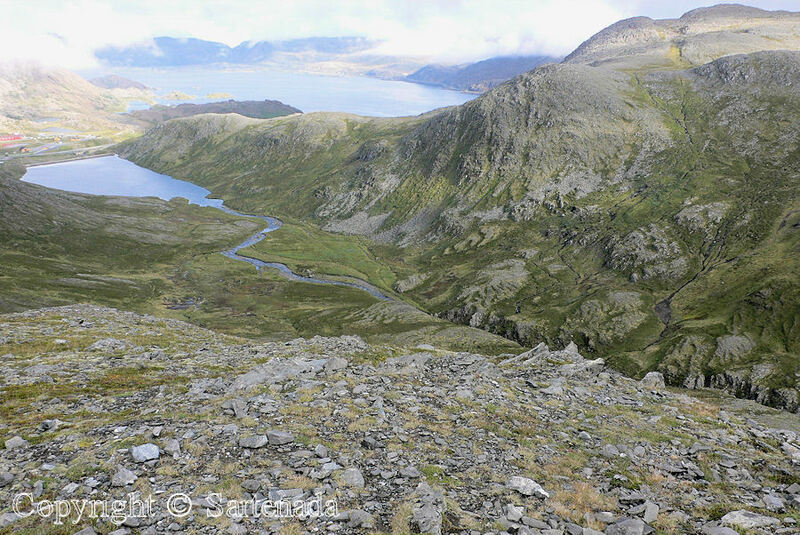 The landscape is stunning beautiful, few years ago I was with my husband in Scotland and the northern territories of Scandinavia looks alike. 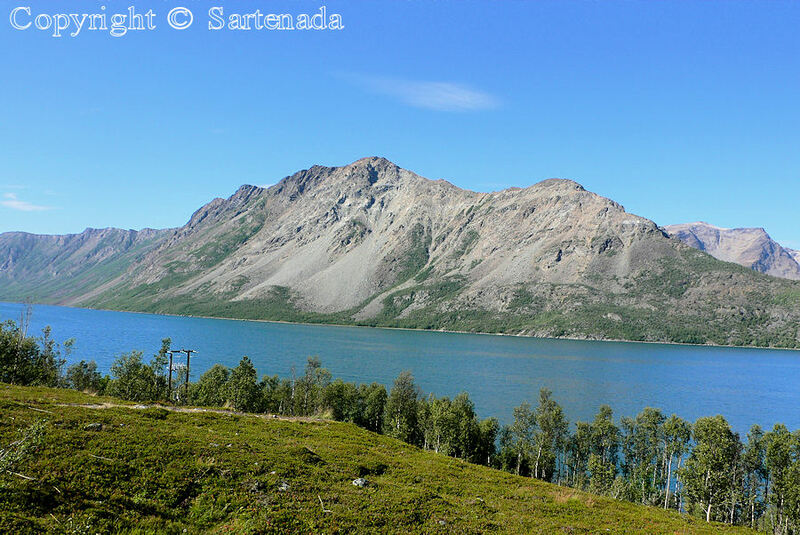 I’m sure is going to be a great trip since I love quiet places, summersed into nature and with wild animals (even if these reindeer doesn’t seem so wild at all).